Lauren and Jason decided they were going to have a small beach destination wedding in Florida and then a reception back home in Ohio a month later, each having a different vibe. 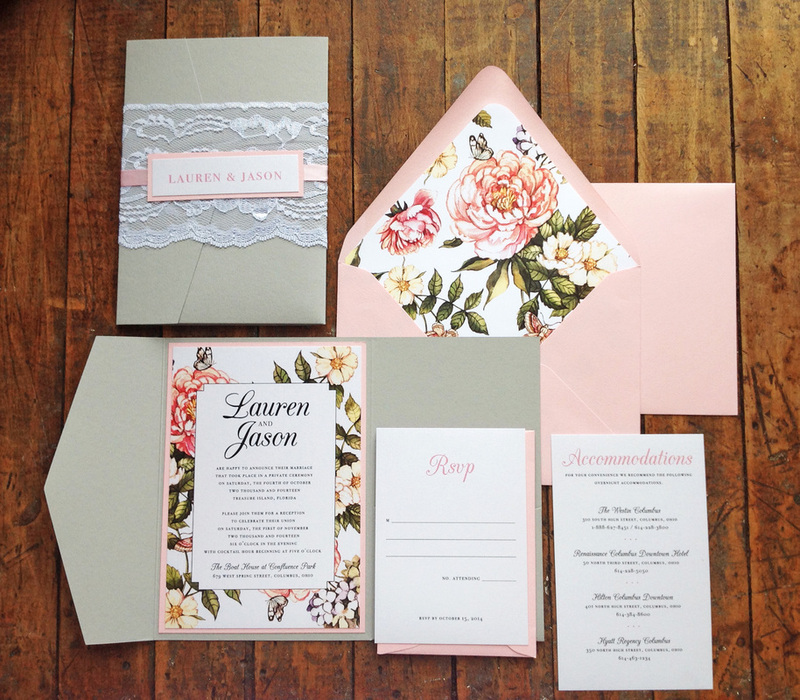 (click here to view their wedding invitations) For their reception invitations, they wanted soft florals and a romantic flare. 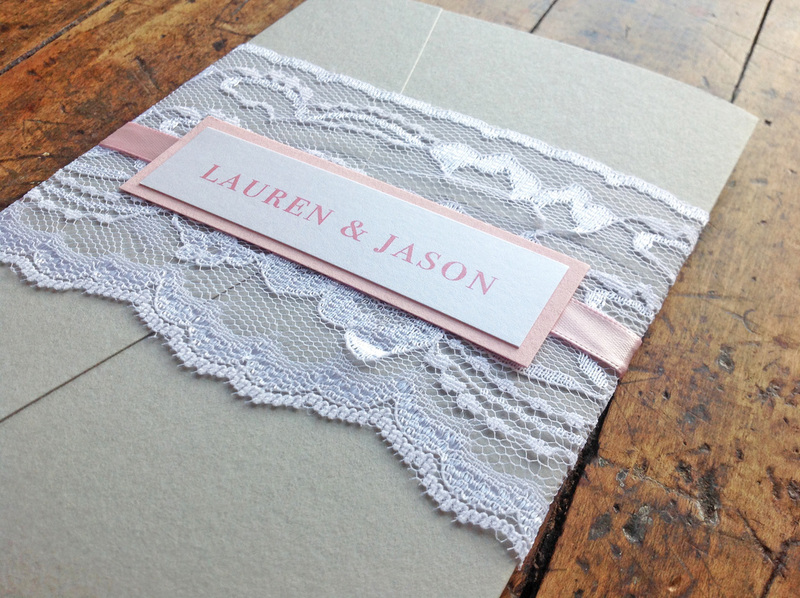 This was a very formal invitation suite, with inner and outer envelopes and a pocket invitation wrapped in lace and ribbon. 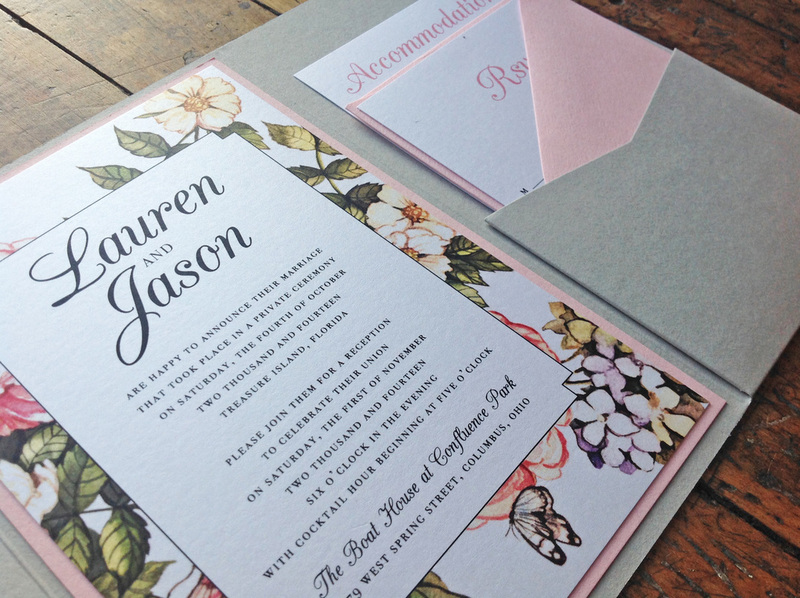 Included was an RSVP card and Accommodations card.